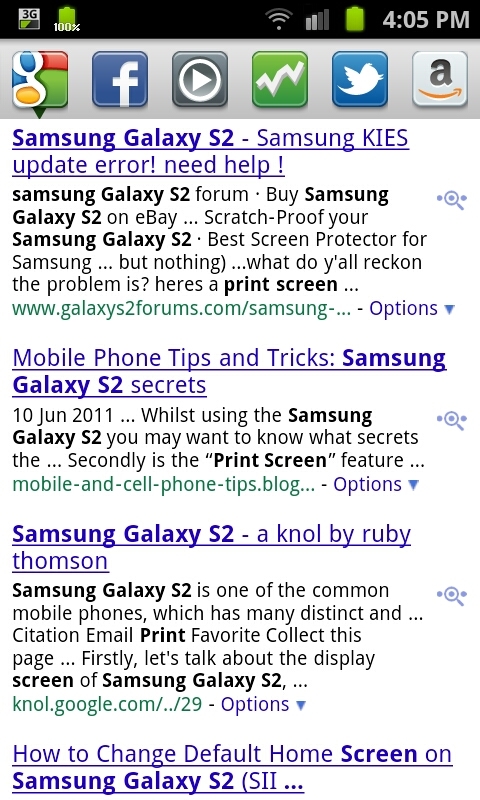 One of the very few complaints about the Samsung Galaxy S2 was the lack of a specialised "search" button like many other Android's have. Although the button was on most phones it was often a controversial subject with many people feeling it was useless and should have had another function whilst others loved the button. Although Samsung technically dropped it a while back they didn't totally do away with it. I've only got the Samsung Galaxy S2 to test this on though by holding the "Menu" button on the home screen you magically transported to the screen on the right. 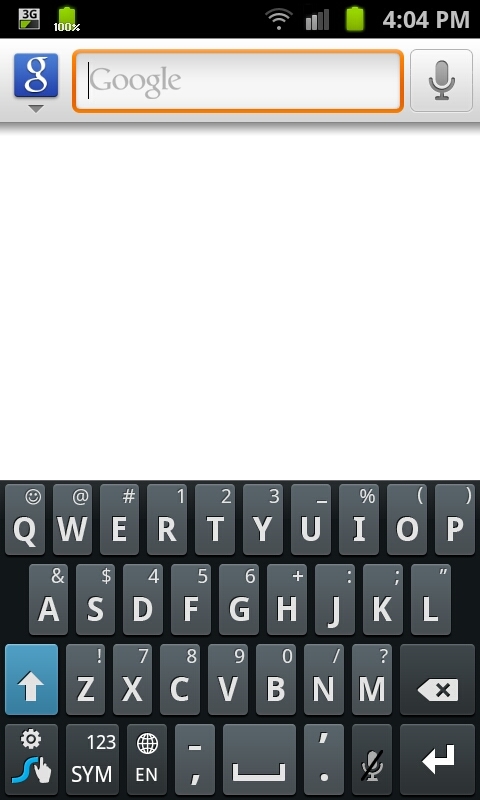 This is the same screen that the "search" button on phones like the HTC Wildfire would take you to. The search function allows you to use the google search engine and any of the browsers on the phone to find whatever you want. Including this site (as shown in the image to the left). This is somewhat Samsung having their cake and eating it. The crafty buggers. I use the search button to bring up Voice Seearch by google ALL DAY LONG. No search button = dealbreaker. This works on many screens. 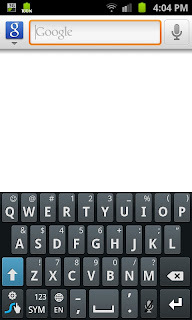 Press and hold the menu button while viewing contacts, messages, texts, bookmarks, whatever.